Featuring only top quality shot cups, shot glasses, and test tubberz with rack to provide you with great promotional items for your business. At Keg Dolly you will find the best, top quality products. Keg Dolly offers the best bartending tools for your place of business and home bar. 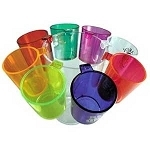 Select from a variety of bartending supplies to bartending kits. Promote your business with electric serving trays and jello shooters to gain name recognition. Another great and inexpensive way to promote your business is with disposable shot glasses found in the Shot Glasses category link. Your bar isn't complete without a set of bar mats and beer accessories. In the Beer Accessories category link you will find a great variety of beer tap accessories for storage, money saving, and safety. 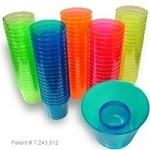 Be sure and purchase some jello shot cups and plastic shot cups for your every night, day, or party event! Copyright Keg Dolly. All Rights Reserved. eCommerce Software by 3dcart.